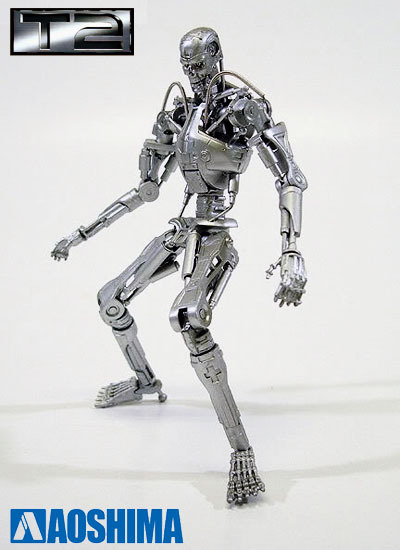 Arnold Schwarzenegger's timeless T-800 Terminator is "BAAACK" with this stunning T-800 Endoskeleton action figure by Aoshima! 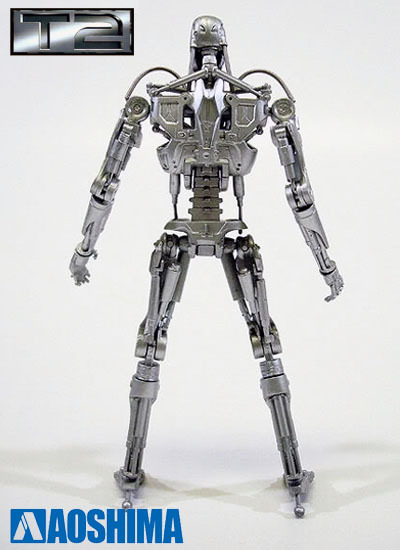 Each T-800 is beautifully painted and features countless points of articulation/ rotation for maximum 'posability'. But Wait! Did I mention that each figure also comes with a bunch of interchangeable extras including a plasma rifle and shotgun! 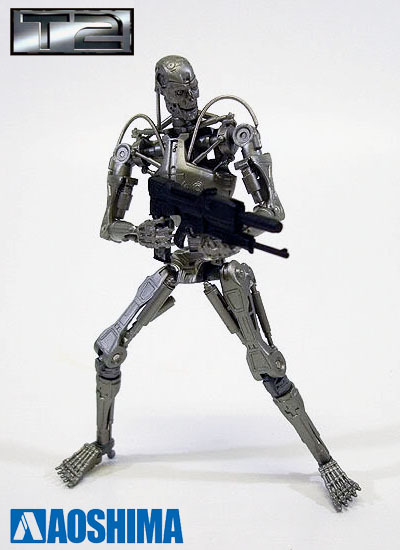 This is the perfect fix for any Terminator fan impatiently longing for the making of Terminator 5! 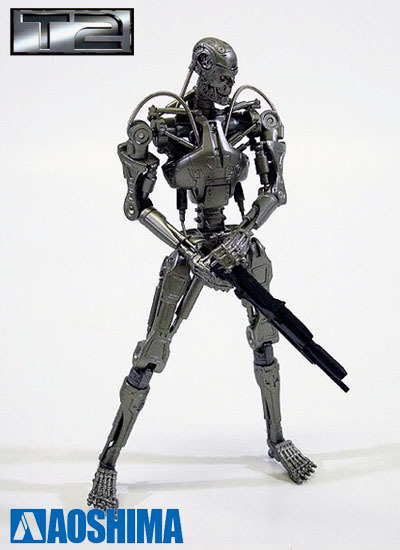 Measurements: 1/12 Scale; Each T-800 Endoskeleton measures approx. 7"